Felicia Williams, PhD, RScP. As a licensed spiritual counselor and life-work coach, Felicia has more than twenty years experience helping people develop strong, supportive, lovingly effective relationships. She guides individuals through tough life transitions, and provides a path for them to find, build and live their unique life-work dream. She helps couples gain critical skills to fuel their love and respect while healing issues. Felicia is also an Organizational Psychologist, business consultant and health educator who customizes training programs for individuals, couples and businesses, guiding them to experience greater health, success and personal fulfillment. 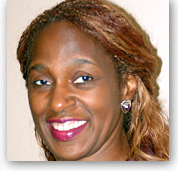 Felicia has been a facilitator for the Human Awareness Institute for 14 years.